NFL safety who began his career with the Buffalo Bills in 2007. He played college football at the University of Wyoming. He led the Bills in special teams tackles in 2009, and then led the Detroit Lions in the same category in 2010. He married volleyball player Angie Hellbaum. 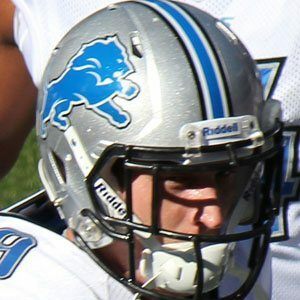 He and Nick Fairley became teammates on the Detroit Lions in 2011.